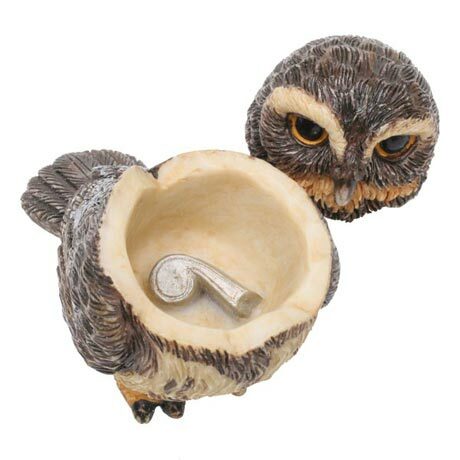 With a hidden compartment to store tiny treasures, each of these highly detailed owls are cast in crushed marble from the originals carved at Martin Perry Studios in Gloucestershire, England. They are then hand-painted and tinted to create lifelike and lovely keepsakes representing various species of the beloved wise birds. 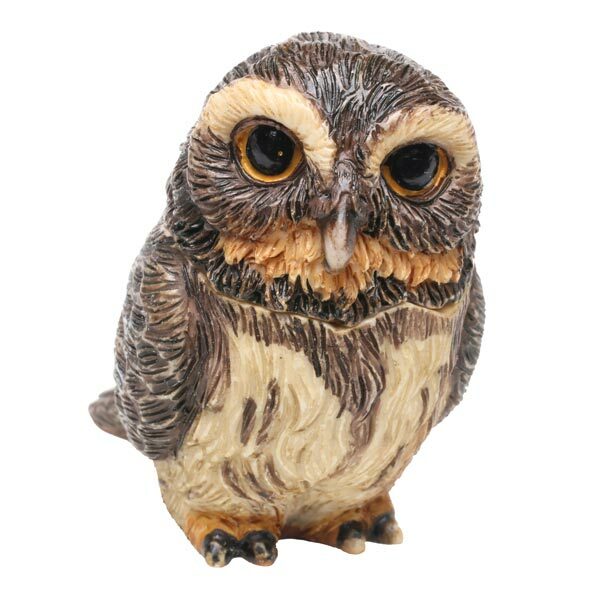 Each 2" owl includes a trading card with fascinating owl facts. 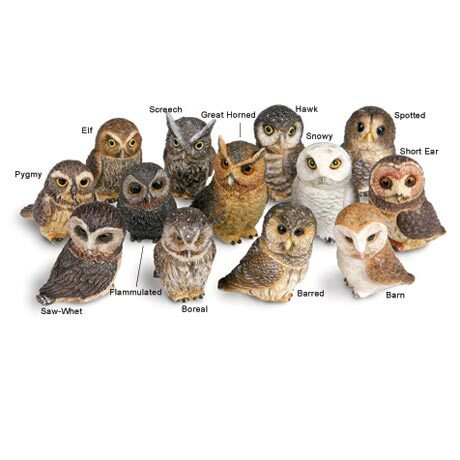 A portion of sales of these Owl Pot Bellys® Boxes is donated to raptor rescue organizations.